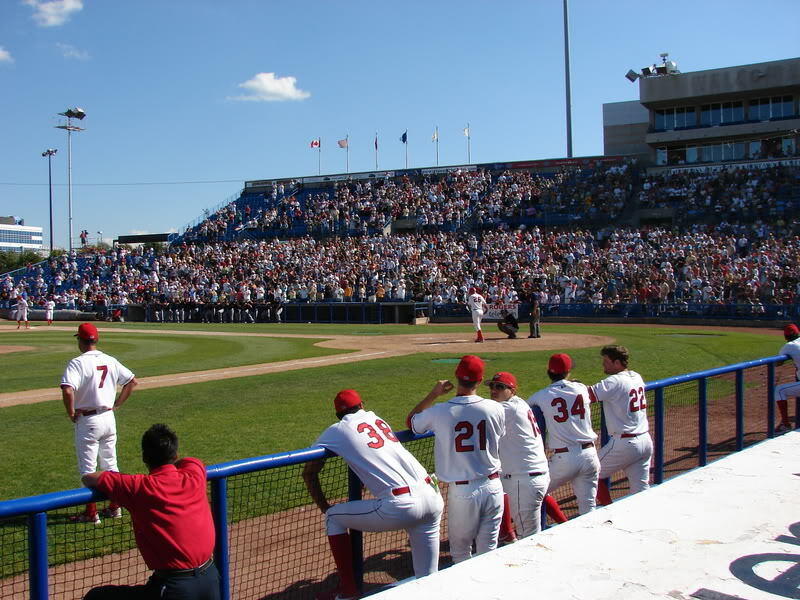 Since April 17, 1993, the 10,332 seat natural-grass Ottawa Baseball Stadium has been hosting baseball in the Canadian capital of Ottawa, Ontario. 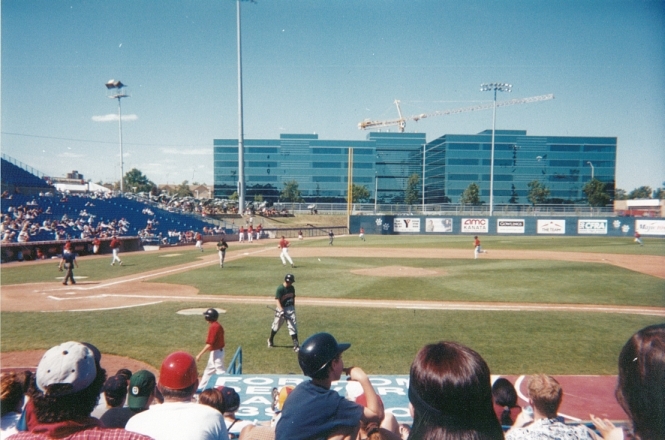 The stadium – originally named JetForm Park – was built to house the Ottawa Lynx, the Triple-A affiliate of the now-defunct Montreal Expos. 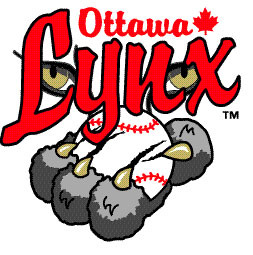 The City of Ottawa embraced the Lynx, setting International League attendance records in its first season. 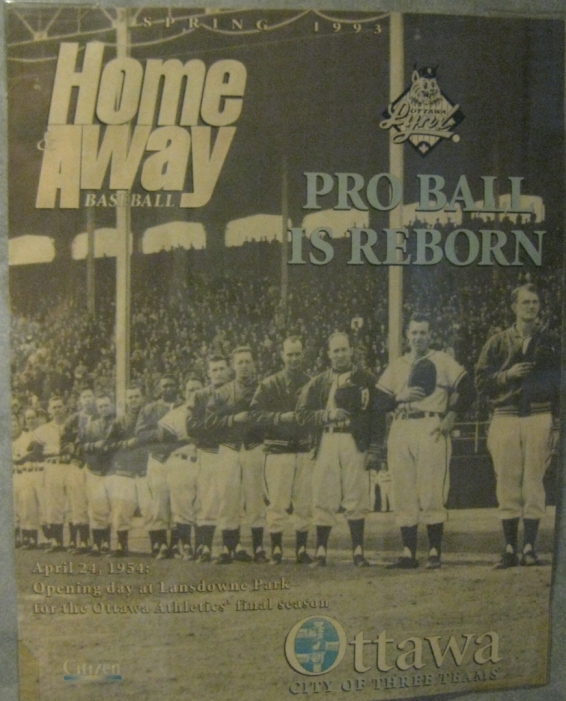 Two seasons later – in 1995 – the Lynx won the International League Championship, featuring future Major League players such as Rondell White, Cliff Floyd, Matt Stairs, Kirk Rueter, and F.P. Santangelo. Following the Championship season, interest in the team began to wane. The team was sold in 2000, and three years later the Expos terminated their player development agreement with the Lynx. The Lynx then became the Triple-A affiliate of the Baltimore Orioles, but attendance did not improve. At this time the ballpark’s branding agreement with JetForm expired and the stadium was renamed Lynx Stadium. The team’s affiliation with the Orioles lasted until 2007, when the Philadelphia Phillies signed a player development deal with the Lynx with the goal of moving the team to Allentown, Pennsylvania. For a more detailed history of the team and its struggles, check out Mop-Up Duty’s own 15 and Out for the Ottawa Lynx. 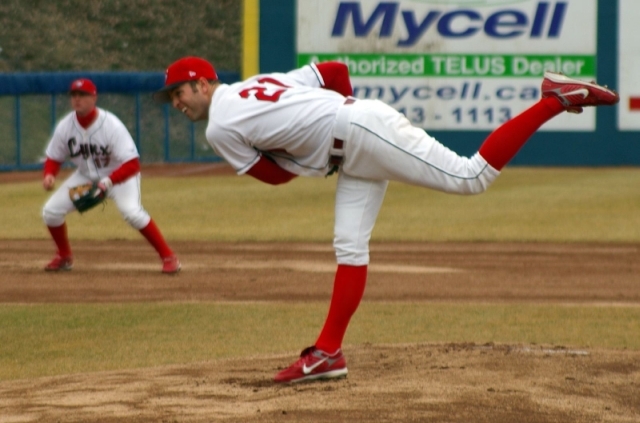 Current Toronto Blue Jay and former Ottawa Lynx pitcher JA Happ. Today the ownership of Ottawa’s newest Intercounty Baseball League (IBL) franchise unveiled their name today: The Fat Cats. 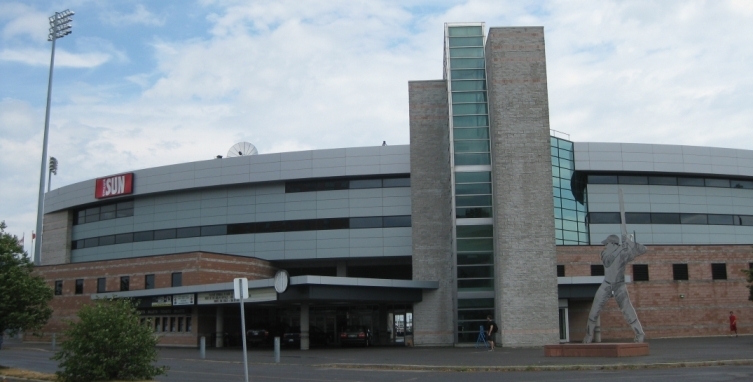 The team name is meant as a gentle poke at Ottawa’s reputation as a place where government jobs protect the city’s economy. With that said, there is still the possibility of professional baseball in Ottawa in 2014. Beacon Sports Capital Partners hope to have the necessary approvals and agreements settled by “sometime around” Oct. 1, said Richard Billings, the firm’s managing director and chief operating officer. 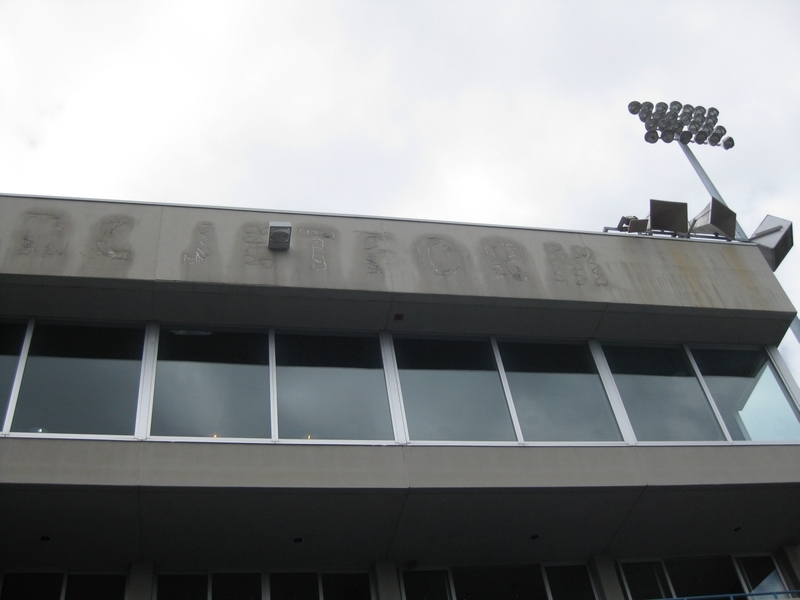 The washrooms are in poor condition and there has been damage to some of the stadium concrete because of failed weatherproofing. Some seating sections should be removed to create two-to-three patio/party zones. The electrical system is in good shape and only needs minor repairs. The field lighting only requires new lamps, but in other places lighting boxes are missing covers and there are damaged lighting fixtures. Resurface the parking lot, add some padding to the outfield walls and replace the netting behind home plate, the report recommends. 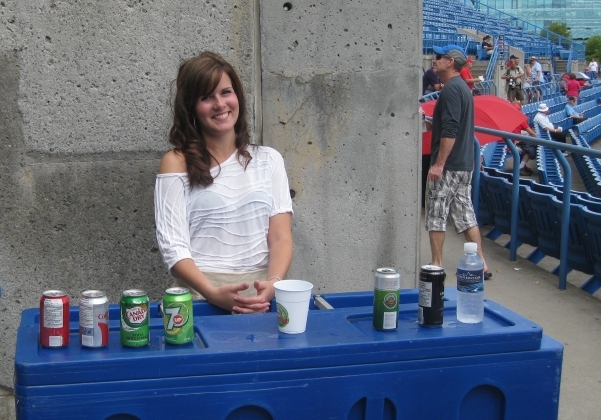 Move garbage bins away from the stands so they don’t stink in the summer. The total estimated cost for these renovations is $8 million. The City of Ottawa has committed $5.7 million while Beacon Sports is chipping in $5.5 million. But will it be worth it? Will fickle Ottawa sports fans show up? The answer is yes.. well, maybe. The Champions of Ottawa Baseball have been focused on building community support by offering fully-refundable season ticket deposits. Targeting 2,500 deposits, the group exceeded their expectations by collecting 3,102. Although these deposits won’t guarantee fans in seats for a professional Ottawa baseball team, it is a clear statement that there is community support for professional baseball in Ottawa. I remember being very impressed with Ottawa Stadium at the time. It was not even 10 years old; the ballpark was bright, clean with modern amenities. In short, it was a fun place to watch a ballgame. Today, many of those elements remain. Ottawa Stadium is in a split-level design, with a concourse running around the middle of the seating bowl. This concourse is at street level, so fans in the “lower” seats walk down, and fans in the “upper” seats walk up. All seats are blue chair-back models. Concessions, restrooms, a gift shop, and a kids’ play area are located along a wider concourse (also at street level) located underneath the upper seats. The stadium also features skyboxes and a restaurant, encased in glass, perched high behind home plate. While the windows do open, there is no outdoor seating at this level. Access is by elevator from the concourse below. There are open-air picnic tables down the left-field line which are also available to all fans. The stadium dimensions are: Left Field – 325 ft. (99 m); Centre Field – 404 ft. (123 m); Right Field – 325 ft. (99 m); Alleys – 380 ft (120 m). At first glance, Ottawa Stadium looks like it could host a Triple-A team today. Although I have not been to very many minor league parks, I can say with conviction that Ottawa Stadium is a far better facility than Florida Auto Exchange Stadium, the Toronto Blue Jays’ Spring Training home and home to the high-A Dunedin Blue Jays (to be fair, Ottawa Stadium is twice the size). However, on closer inspection, it is clear that the park has been neglected for the last few years. 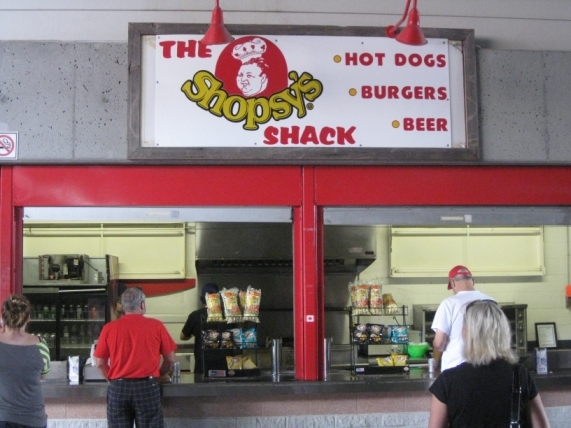 The concessions are limited to hamburgers, hot dogs, potato chips, popcorn and pop. The team focuses their attention on the true money-making concession items: drinks. 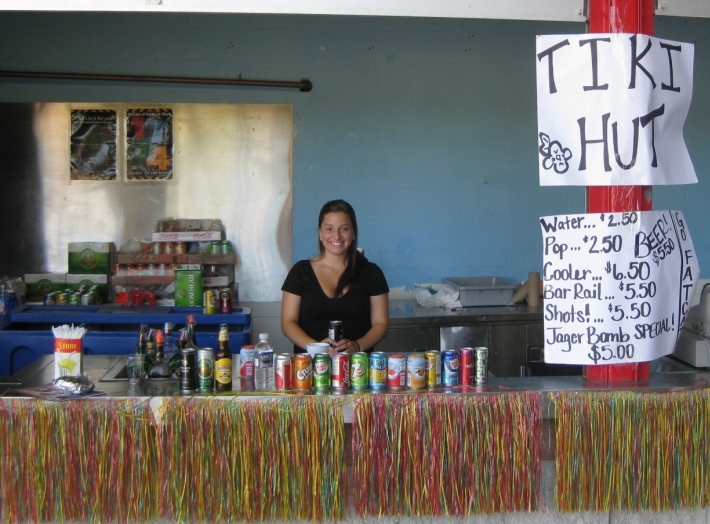 The regular concession booths serve cans of domestic beer as well as independent brews Moosehead and Cracked Canoe. In addition, there exists an express beer cart that serves Moosehead and Cracked Canoe on tap, a Tiki Bar that serves mixed drinks, and a drink cart on the inner-concourse level. Like the SkyDome/Rogers Centre in Toronto, Ottawa Stadium is predominantly concrete, creating a grey, dreary vibe from the outside. Once inside, the mood lightens considerably. The bright green of the natural grass field contrasts against the bright blue of the seats. The seats co-ordinate with the shiny blue glass of the office building past the left-field fence. The seats are comfortable and the sightlines are great in this baseball-only venue. 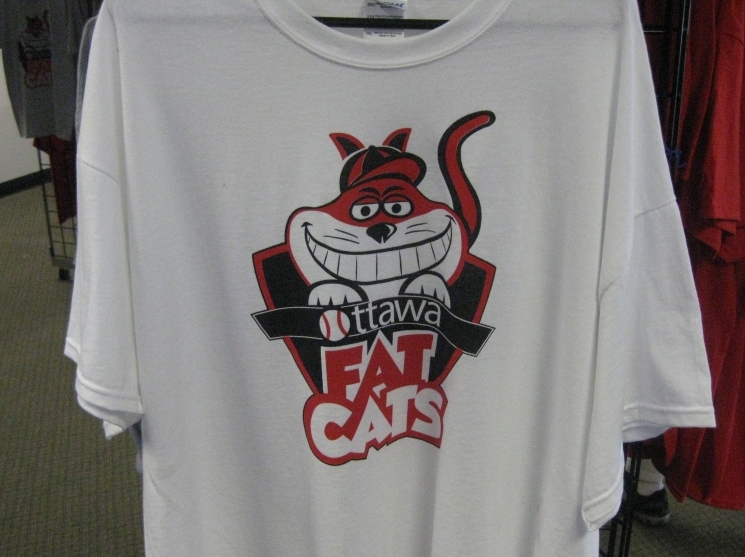 The current tenants, the Ottawa Fat Cats, have a team store adjacent to the main entrance to the ballpark. Although it’s not impressive, it has a decent selection of shirts, hats and souvenirs available for fans. In fact, it is probably on the same level as the Oakland A’s team store at the Oakland Coliseum. 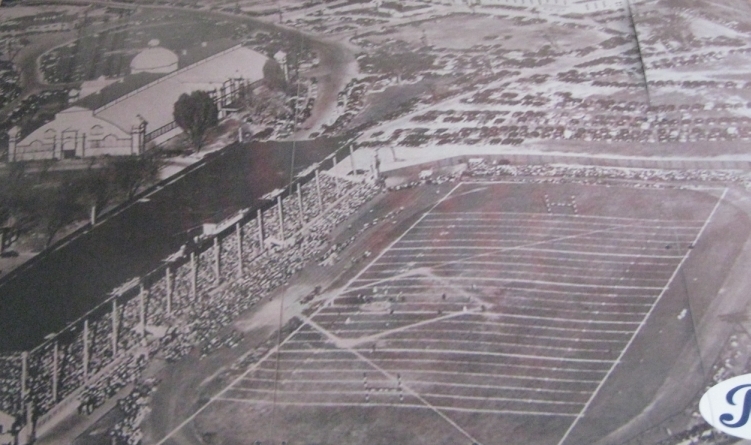 Opening day at Lansdowne Park for the Ottawa Athletics’ final season, April 24, 1954. 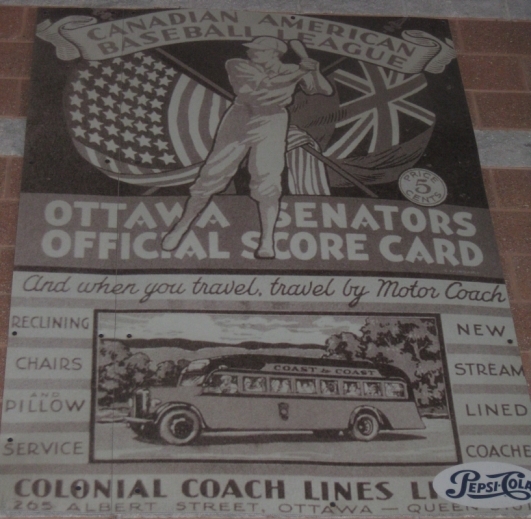 Ottawa Senators official score card. The Ottawa Athletics play at Lansdowne Park. Moving on to Ottawa’s apparent state of disrepair. Yes, it is true: the washrooms are in extremely poor condition. They are filthy and need a total overhaul. This is the main renovation that needs to be addressed in order to bring the ballpark up to standard. As far as damage to concrete, it was not noticeable to me. The only thing I did notice was that remnants of the old “Welcome to Jetform Park” sign still linger. I’m not entirely sure that money needs to be spent on creating a patio area. 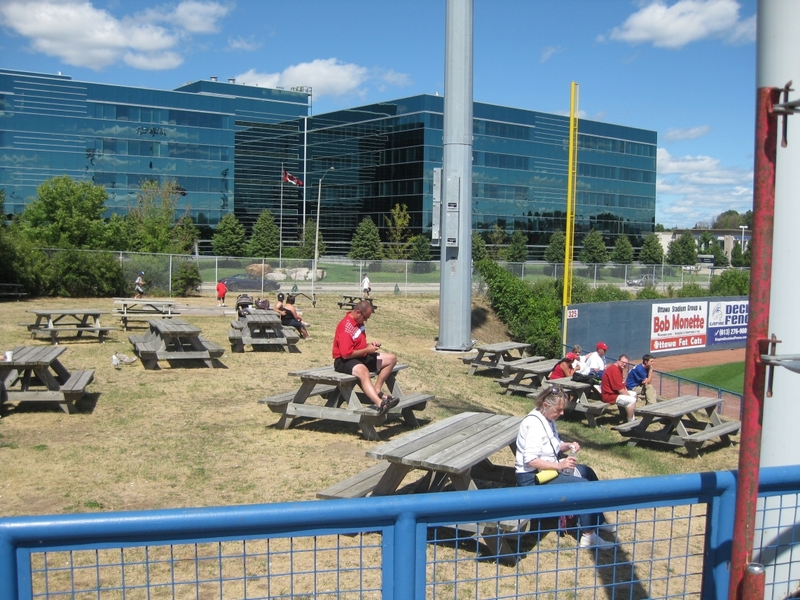 There already exists a berm adjacent to the left-field corner with picnic tables. It seems that removing a section of seats for a superfluous patio is not worth the considerable expense. If it were up to me, I would transform the berm section into an outfield bar/party zone, perhaps a carbon-copy of the one that exists at Bright House Field in Clearwater, Florida. This would be an idea post-work destination for the 9-5 crowd on a Friday to have a few drinks while watching high-calibre baseball. The parking situation needs to be addressed as well. The game I went to had approximately 500-600 fans in attendance, however the parking lot was at capacity. If the new AA or AAA team in Ottawa were to sell out its 10,000 seat capacity, where would the overflow parking go? I’m not familiar enough with the city to be able to answer this question, but it is an obstacle that needs to be overcome. With all of these improvements, Ottawa Stadium will be more than worthy of hosting a professional minor league franchise. With such a storied baseball history, coupled with the enthusiasm generated by the Champions of Ottawa baseball group, it is easy to see why the possibility exists to turn the professional baseball dream of Ottawa into a reality. 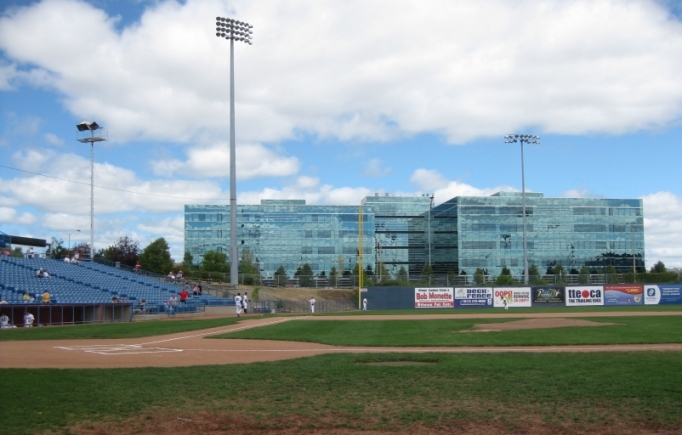 Ottawa is also home to the largest amateur baseball league in Canada – the National Capital Baseball League. The league is a wooden bat league with 37 teams in 4 tiers. The interest definitely exists. 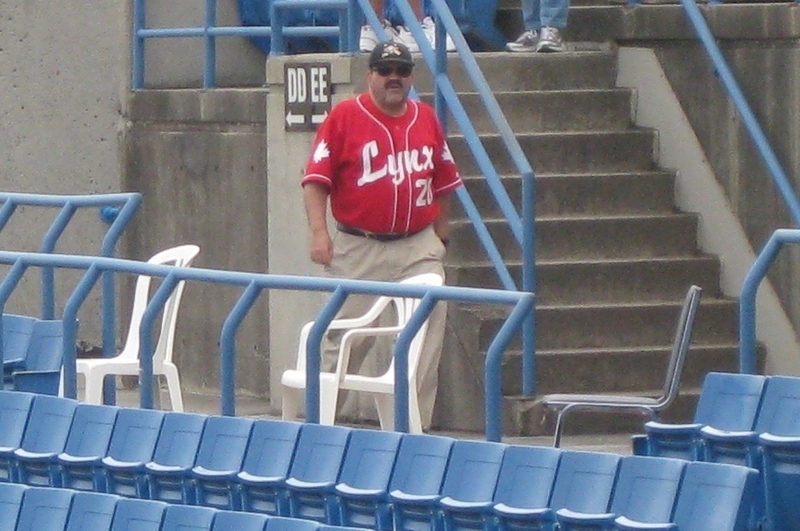 Image courtesy of the now-defunct Ottawa Lynx Blog. For additional ballpark reviews, including both Major, Minor and International League ballparks, check out our Ballpark Review Roundup. Previous articleWho Is The Greatest Canadian First-Baseman Of All Time?